We’re going to do something a little different. This was unscheduled. This is an impromptu episode but I would be remiss to not do the show and not do a segment specifically on mental health. The importance of us, particularly the high performing go-getters out there, it’s making sure that we take care of ourselves. This episode comes on the heels of the shocking news. The world lost two amazing legends, Kate Spade and Anthony Bourdain. I wanted to make sure that we have that conversation. Mental health is something that people don’t talk about regularly and sometimes they don’t talk at all. It’s not a topic, at least here in the US, that is talked about publicly and it should be. People are going through a lot of different issues and tough times. Sometimes individuals may not even be aware of what’s happening. I thought it was important to begin and have that conversation. We did bring an expert in to kick that off. My guest is Celeste Viciere. She is a licensed mental health clinician. She’s got a private practice that she runs called The Uniting Center. 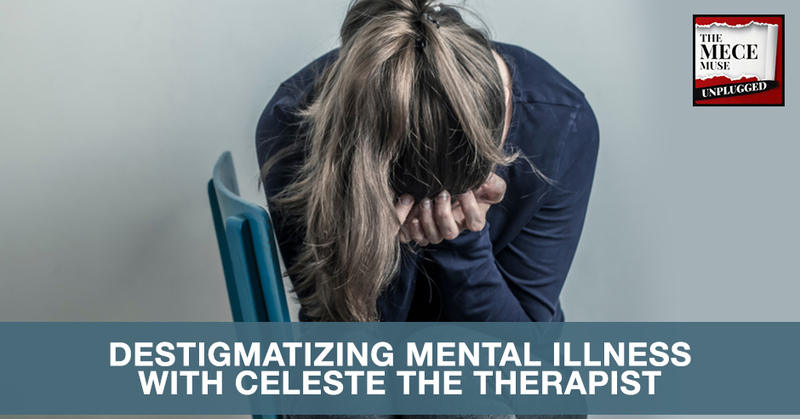 As a cognitive behavioral therapist, Celeste spends her day in and day out for the past years working with different individuals, helping them through hardships, challenges, helping them to address many of the challenges that sometimes we face. I thought that it would be cool for her to come and bring some tips and tricks, some things that you can think about if you may have bouts of depression, anxiety and going through a bad cycle. How can you conquer that and be able to get back on your journey to greatness? Celeste is also an author. She wrote a cool journal called 365 Days of Intentional Living. I’m super thrilled and hopefully, you will enjoy this conversation, go-getters. Celeste, thank you for joining us on The MECE Muse Unplugged. How are you doing? I’m good. Thank you so much for having me. I appreciate you. I’m excited to talk to you because I definitely had wanted you on the show. You’re going to bring a lot to the go-getters but it’s unfortunate in terms of the timing of this conversation. I felt I could not end the show and not have a discussion about mental health awareness, depression, and anxiety, particularly in the workplace. Go-getters who are in consulting, they know how demanding, how intense a profession it can be and sometimes it’s isolating. 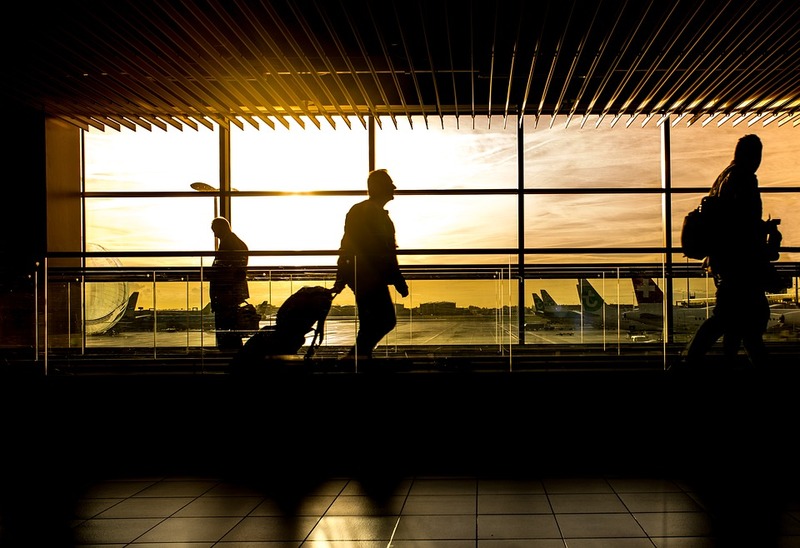 You’re constantly traveling on the road. Mental health is not something that’s readily talked about. I wanted to make sure, in respect to Kate Spade and Anthony Bourdain, to have a conversation. You’re the perfect person to kick that conversation off. 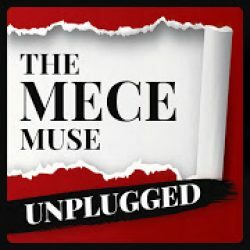 Introduce yourself to the go-getters of The MECE Muse Unplugged. My name is Celeste and I am a therapist. I work with adults. My specialty is in depression, anxiety, substance abuse, alcohol disorder, and psychotic disorders. I’ve been a therapist and I’ve been in private practice for many years. Celeste is also an author. She’s got a cool book called 365 Days of Intentional Living. I love the journal. I’ve been writing but I definitely want to make sure we talk about your book. Share how you decided to go into the space and become a licensed mental health clinician. It happened by accident. When I was nineteen, I went to the military. I wasn’t sure if I wanted to go to college. I was going to school, I needed extra money and started working at the shelter. It was paying more than the grocery store I was working at. I started talking to people in the shelter. I didn’t know anything about homelessness. I didn’t know anything about substance abuse and I fell in love with the population. I found out that there was this thing called therapy that was essentially doing what I was doing, talking to people, listening to people and so I switched my career from nursing to psychology. How has that journey been since you’ve made that shift? I’m sure you speak to a lot of people and hear a lot of things. How’s that been for you? It’s been very rewarding and humbling. It keeps me grounded. I’m always grateful for everything I have. Because I see people that are hurting on a regular basis, I’m conscious of life and how precious it is. Initially, it was draining more so because I gave so much of myself and didn’t give anything to myself. I wanted to see people win in life. By the time I was able to place some boundaries and self-care for myself, I felt more balanced with what I was doing. That’s great that you found that balance and you’re in private practice now. Do you take most of your clients in person or do you also take virtual? When it started, it was all in person. Now that I’ve been in practice, I do see people virtually and in the office as well. What are some of the common symptoms you see in people that are coming to you or your clients that are related to mental health, whether it’s stress, depression or anxiety, particularly in the workplace? Most of my clients are working clients. I take a lot of commercial insurance. I see a lot of people that work. A lot of people come to me after seeing the doctor and having some type of physical ailment that cannot be described by any testing. A lot of times, we have physical pain. Once everything’s ruled out, the doctor starts to ask this question about, “How is your stress?” Because people are overwhelmed with life plus at work, we ended up becoming overwhelmed and not balanced. People do come to me and working on figuring out how to have a more balanced life. Are there any common themes that you’re seeing with the people that are coming in with the doctor’s referral or recommendation when it comes to work? Anything that you see in terms of what’s happening at work that’s causing that type of stress? I grew up in America and our society tend to base success off of this model of more. If I’ve been told in order for me to be successful, I have to climb the ladder and be the president, CEO, a bigger house and a bigger car, I’m not taking time out to think about what’s happening to me. We’re so focused on this US model of success, we end up becoming burned out by it. That’s a typical theme across the board with people in the workplace who are finding themselves overwhelmed and stuff. I have a lot of mentees that come to me and they feel burned out. They feel they don’t have a choice is usually what I hear. They have to do this or else they’re not going to get promoted or they’re not going to get that bonus. I definitely agree with you on the more mentality. Do you feel that there are particular things that people should be looking to do differently? It’s easy for us to think about tangible things and tell ourselves that we don’t have time to take care of ourselves. I realized that you need money to survive. You need to work and we are very intentional about setting our alarm for the workday. We’re intentional about scheduling, meet ends, time to meet with people and to get further along in our career. The thing that we lack is the intentionality of taking care of our mental health, whether it’s a fifteen-minute session of deep breathing or taking our lunch break and not working through our lunch break. That would require for us to be intentional and care about our mental health. I believe that because we can’t see the damage that we do to our bodies and our mind in real time, it’s easy for us to tell ourselves that we don’t have time to take care of ourselves in a complete way. What are some telltale signs of either depression or anxiety that may not be as commonly known? Some of the common ones you hear are people dreading going to work or maybe getting frequent headaches. What are some signs that people may have, that may not always be readily correlated or people don’t translate that that’s stress-related? I would have assumed that depression was being in bed, not being able to get out of bed, loss of interest. I was a functional depressed person. I was depressed, I was working and I was going to school. That’s something that people will glance over because I was a functioning member of society. At nighttime, I was not as functional. I was depressed. We looked at things that people use to cope, the stigmatizing things like alcohol and drugs, but school and overworking ourselves could be another form of a coping mechanism. We don’t want to think about things that we’re struggling with. The thing is your mind will catch up with you eventually when you have some downtime and force you to think about those things. Being impulsive emotionally, there’s anger. People can react angrily and people would never know that that person is depressed. You would never think someone who’s always angry is possibly depressed. There are a lot of different ways depression will look different on everyone. I would never have thought that would have been a symptom of it. It’s a mask. We have a lot of struggles that we’re not dealing with because we have to climb this ladder of success and we mask it. Especially with males, they are told not to cry. Males are told not to be sad. Anger is something that’s accepted with males. You will see a lot of angry males who are struggling inside and don’t have the language to talk about their struggle. If I know somebody that may be showing different types of symptoms whether it’s anger, sadness, withdrawal, what would be a way that I or anyone reading this episode can be empathetic to somebody near them? Mental Illness: It’s important to be honest with yourself so that you can find healing. We all want to help our friends and our loved ones, especially where you can see that this person’s possibly depressed. Sometimes we end up saying the wrong things. We will say things like, “It’s going to be fine. Get over it.” We do people a disservice and the best thing to do is to listen. When you tell people like, “Come on, you’ll be fine,” it’s the same thing as telling someone with a broken leg in the wheelchair to run a marathon and they’ll get through it. People that have not experienced depression don’t understand it. They can’t see it. They are trying to help. They mean well but the best way to help out a friend or loved one is to listen and let them know that you are there for them if they need to talk. What about if someone is like, “I know that I’ve not been myself lately but I’m not sure what to do. I’m embarrassed to even acknowledge that.” What would you say to that person? Therapy’s a great solution but I realized everyone doesn’t have access to therapy. People may feel shame about some of the things that they’re struggling with. One great resource is online. There are online support groups that are there. There’s information, support networks online that you can be on without acknowledging who you are. If that’s not something that you would want to do, another great way I didn’t realize I was helping myself with was journaling. I used it growing up. Writing out how you’re feeling and identifying the emotion that’s attached to your feelings can help you. The things that we go through are real, but the problem is that we are not able to make the connection. When we’re struggling and when we’re embarrassed about things, it’s because no one’s ever talked about our emotions. The only thing that we are able to talk about is feeling happy. If you’re anything but happy, people don’t acknowledge it. If you’re not able to acknowledge it to anybody, it’s important to be honest with yourself so that you can find healing. That’s important. What about medication? There are all types of stats of people being a lot more depressed and with a lot more anxiety. I read that suicides have gone up. There was a CDC report that came out. In addition to that, there’s also been a lot of drug abuse. I do know of certain individuals that go to medication to cope with their depression or cope with their anxiety. What are your thoughts on that as one method? I’m not against medication. I have clients who do well with medication. The problem I have with American society and medication is that it’s the first resort. I’ve had people come to me because they’ve been dealing with depression for a specific reason. The first thing the doctor said was, “Why don’t you try this medication?” instead of talking about the problem and having them understand the symptoms. The thing with medication is it will help with some of the symptoms but the issue, the root of the problem, the trauma, the things that they’ve experienced is still there. No one says, “How’s your sleep? How’s your eating? What kind of environment are you in? What’s your stress level?” There’s no commercial that talks about natural ways we can work on healing ourselves because no one’s going to get paid from that. I feel if we were to think about taking care of ourselves, not just our mental but our physical as well because it’s all related, we can work better method of coping in society. This is an important topic that people are armed with information and resources, whether it’s for them or whether it’s for people around them. It’s not talked about and I’m hopeful that our society will continue to normalize the importance of mental health. I’m all for the work that you do. I want to talk a little bit about your guided journal. One thing I wanted to close out on the conversation around mental health is the extremes. Sometimes the extreme actions that people take upon themselves, whether it’s hurting themselves physically, cutting themselves constantly, hurting themselves through extreme alcohol abuse or suicide. If someone sees someone in a spiral or someone having these feelings and trying to cope and going through some type of battle like this that would lead to extreme behavior, what advice would you give at that particular point? Cutting is one of the forms that people use because the pain that they don’t have a name to describe, they can’t understand it. When you cut and you see the blood, it allows you to feel like, “This is real. I’m in pain.” For anyone that’s struggling in coping with life, feeling things are hard, I would say that feelings are temporary. Even though it feels hard, one of the things that I like to think about is this idea of rain. No one likes the rain, but I know when the rain is over, there’s a rainbow. Being able to reach out for support is important. No one is born to say, “I want to be an alcoholic.” No one’s born to say, “I want to abuse drugs. I want to be a cutter. I want to struggle with depression.” People feel, “This is the way my life has to be. This is the way I am.” Know that regardless of what you’ve been through throughout your life, you can rewrite your story. A lot of times people have not been told that or been empowered to believe that. I want to encourage you to know that you hold the pen and you’re the author of your story. What you just shared is very powerful. Personally, I had bouts of depression, anxiety that I’ve dealt with through. I’ve shared on the show number of times. The loss of my mom and my grandmother was a life-defining moment. It created a splinter in my life. I remember going through a lot of depression. As I look at where I am, I believe you can conquer it. Sometimes when you’re in that dark space, it feels there’s no other way out. There’s hopelessness, death, and despair. It’s hard to describe it in words but there’s a despair that you get to. I want people out there that are in that space to know they can conquer it and that people are available. People want to help them. Sometimes the environment that you’re in may not work. It’s working on changing your mindset because it’s not anything I offer in therapy is going to change anyone’s trauma, grief or pain. It will allow people to get a new perspective on their lives so that they can start to see things differently. That sounds like what happened to you, if you think about struggling in that pain. You never thought you would be where you are now. Knowing that someone shares my story gives me hope that I can keep going. I still vividly remember those feelings even though I’m not in that space anymore. I still remember that feeling and this was years ago. It’s something that stays with me. It’s a reminder that I have a choice and I don’t have to stay there. I do have a choice. I do have people that care about me. I do know there is a tomorrow. Whatever anyone’s going through there is a tomorrow. Thank you for this conversation. I want to switch gears a little and talk about your guided journal. I’ve been writing a journal and full disclosure, I carry a ton of different notebooks. I’m constantly writing but I never thought to actually journal until I picked up your book. Maybe you can share with the go-getters what made you decide to write your book, 365 Days of Intentional Living. What do you hope people can gain from it? I’ve never wanted to be an author. I wanted to talk about mental health. I do a lot of live streaming and people ask me questions. They talk about different issues. One of the things I always suggest people is to journal and to write. People will say to me, “What does that mean?” I’ve been doing it for so long, I’m 35. I was doing it when I was fifteen out of despair of not having any other outlet, I would write. I realized people have never written before. People don’t know where to start. Every day I post a positive quote where I talk about the quote. Something clicked where I said, “I can make a journal where each day I give somebody something to think about differently.” The idea behind the guided journal is for people that either have a therapist or not. I believe in helping people heal where they’re at. The guided journal walks you through 365 days of different questions and some of them are similar. That’s very intentional for where we’re talking about forgiveness, where we’re talking about acceptance and we’re talking about your social life. We’re talking about how much you hold value. The more you see that, eventually, it clicks. Sometimes I’ll say something like, “I want to buy something,” and I forget. I see it two more times and the third time I was like, “I’m going to get it now.” I feel that’s the case with the guided journal. I’m asking questions in different ways that have the same common theme. The goal of the guided journal is to help empower yourself to make positive changes in your life. One thing that I do like about your journal is the acknowledgment of how a person’s feeling now. You have little stickers that you include. Can you describe that framework? My kids have the pleasure of talking about emotions. That’s all I do. They’re able to identify how they’re feeling. I know growing up, if you were crying and there was nothing broken, you need to be quiet. If there’s no blood or broken bones, then there’s no reason to be sad. I give people a range of emotions so they can start to tap into what they’re feeling daily and start to see a common theme. Maybe I’m feeling jealous all the time. Jealousy is something that no one wants to admit that they’re feeling. What the reality is if I’m jealous, I need to start to acknowledge it. Each day I’m intentional on asking you how you’re feeling in hopes of helping you connect the dots so that you can work on changing your behavior. We try to change our behavior like going to the root of the problem. It starts with our emotions. It starts with our thought. That’s the goal of these guided journals, to tap into your thoughts. I like the how you’re feeling piece. Over time, if someone is journaling, you can start to pick up patterns. You can start to see if there’s a specific time of the month or there’s a specific day and what’s happening on that day. What I find myself doing and maybe it’s the type A in me, if I’m feeling a certain way on a certain day and it’s not what I want to feel like, I’ll look at the day and say, “What happened yesterday? What do I have today on my plate? Is that triggering those feeling?” It makes me dig a little deep and help me figure out. It’s given me a lot of clarity. I thank you for creating this guided journal. Mental Illness: To change your behavior, you have to start with your emotions. It’s doing everything that I wanted to do and those are called triggers. That was my goal behind that is to help you identify your triggers. You didn’t even sit in a therapist’s office to help get clarity. You may not have time to do that but being able to take ten, fifteen minutes of your day is amazing. Another thing that I have in the guided journal is these positive coping skills. Sometimes we cope negatively, whether it’s something that we may regret. Maybe we’re drinking too much, smoking too much, eating too much. If we identify those negative things that we turn to and replace them with something positive, it’ll help us feel better overall. Do you want to share what are some examples of positive coping strategies? Some positive coping strategies are meditation, deep breathing, yoga, going for a walk and I give all three examples of things that you can do. Sometimes people say, “I can’t afford to get my nails done or get a massage.” You use what you have. If you can’t afford a massage or to get your nails done, you can afford to go for a walk. You can afford to sit down and take a real break and take two minutes to breathe. If we start to think about our life, we can’t create fifteen minutes out of the day whether we make up early, whether we go to bed a little bit later just to get that fifteen minutes. No one’s going to do it for us. It’s important to understand we have to do it for ourselves. Thank you so much. I feel like we can continue talking about this. I would love to have you join my new podcast and be a guest on that if you’re interested. Yes, of course. I know I sleep, breathe, everything mental health. I enjoy helping people with clarity. I appreciate you helping me out. The work you’re doing is extremely meaningful and extremely needed. I wish you continued success with your book, continued success with your practice. I look forward to talking to you again. Do you want to give the go-getters some links, some handles where they can find you if they want to check you out, check out your book or listen to some of your live streams? 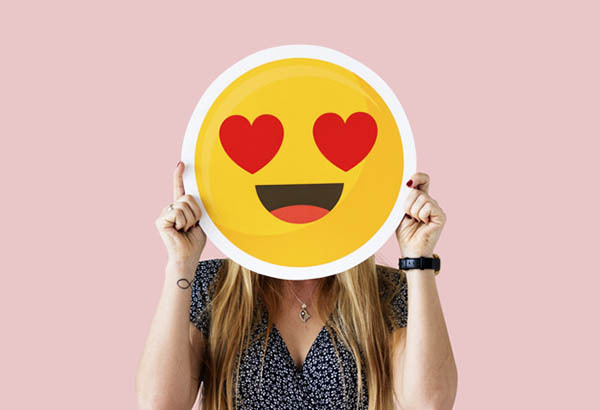 The easiest way to connect with me on any of my social media is CelesteTheTherapist.com. If you want to purchase the book, you can do that through CelesteTheTherapist.com and you can also do it through Amazon. Thank you again, Celeste, for joining us on the show. Thank you, my go-getters, for tuning. Here’s to your journey to greatness. Celeste Viciere is a licensed mental health clinician (LMHC) and cognitive behavioral therapist with a private practice based in the Boston area, The Uniting Center. She holds a master’s degree in counseling from the University of Massachusetts in Boston. Celeste has been in the mental health field for more than 15 years and believes in the power of living a conscious life. Celeste has been featured as an expert in numerous publications including NBC News, Bustle, Fatherly, and more. 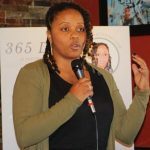 Celeste’s recently published guided journal, 365 Days of Intentional Living, is focused on helping people learn how their emotions guide their actions in everyday situations.